Following on from out other new cat series posts we have our next guide to help you settle your kitty into their new home. Once they have been introduced to your family and have started to show an interest in the world outside that one room then it is time to open up the rest of your home (and perhaps even the outdoors too) to them. Opening up your home for your kitty to explore really is as simple as encouraging them to leave the room that they have already become used to. All you need to do is imply open the door and let them leave at their own pace. It is always a good idea to keep the door open to that particular room, just so they can dash back in should anything worry or frighten them. You should also ensure that for those first few days, all the external doors and windows are shut as the last thing you want is your kitty darting outside in fear! If they seem timid and not keen to get out there and take a look around then you could use their own facial pheromones to help. To do this you simply need to wipe their cheek gently with a soft cloth and then rub this cloth on points around the house. They should be cat height so that they can smell them and will make sure that your cat fees more comfortable in their new surroundings. Around 3 to 4 weeks after you first bring your kitty home you can start to think about letting them out into the garden. It is important that you do not let your cat out until it is completely settled into your home and feel a part of the family as this can increase the chances of them running away. If you have a kitten that is yet to be neutered, then you will need to supervise them whilst they are outside exploring until they have had the operation. The last thing you want is another litter of kittens on your hands. For those new owners who are concerned, it is a great idea to let your cat out when they are hungry. This means that you can tempt them back into the house with food. You should only need to do this whilst they are getting used to coming and going from the property. Just a word of warning, if you already have other pets in the home then you might need to approach this wider exploration a little differently; watch out as we have a future blog post coming up about that! So there you have it! The perfect way to get your new feline friend learning about their new surroundings. Whilst they may seem shy and timid now, it won’t be long before they are spending their time claiming their territory and make sure that everyone in the home knows who is the boss! In our new cat series we explore letting your cat explore outside. 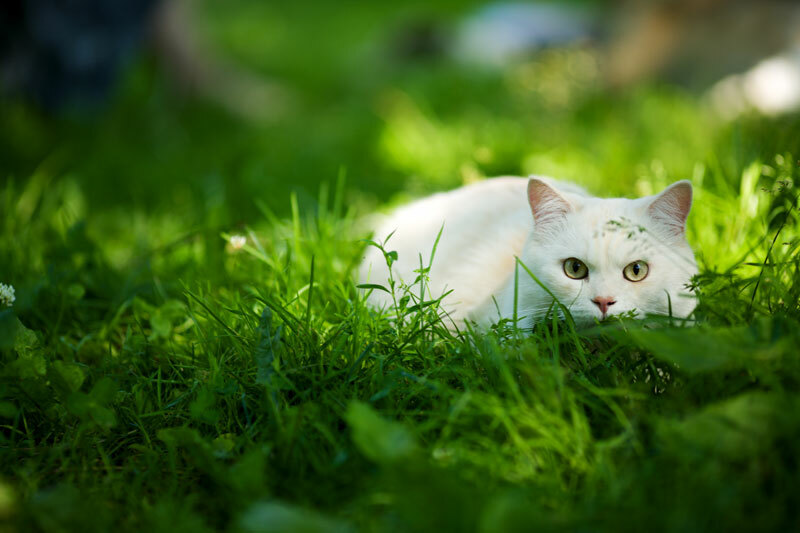 Learn the do's an don't of letting your cat roam free for the first time. This entry was posted in Behaviour, Cats, Humans, The Environment and tagged Exploring, New Cat.